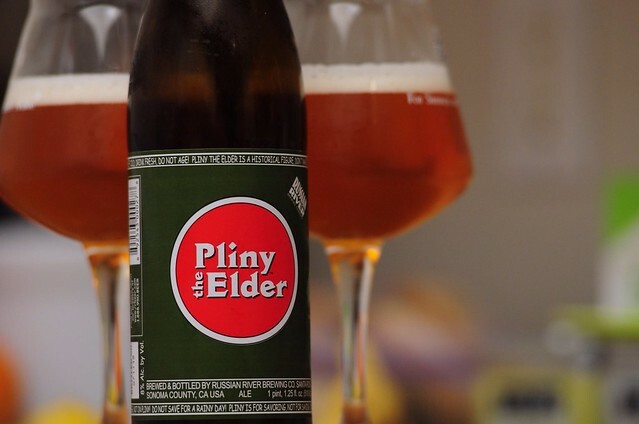 Russian River Pliny the Elder, originally uploaded by adambarhan. A – Poured out a somewhat cloudy, orange color with golden highlights. It had a small, thick, foamy head that left soapy trails of lace. S – Tons of grapefruit aroma; really amazing! There were mild notes of pine and caramel. T – It hits you with a tart ruby red grapefruit taste and sweet orange peel flavors. The burnt toast caramel flavors add balance to the strong fruit taste. M – It was crisp and sharp with a dry finish. A medium bodied ale. D – A very hyped beer, very good but not worth all the hype although I feel like I need one every time I see it.